Materials and displacement transformed dinghy design too. 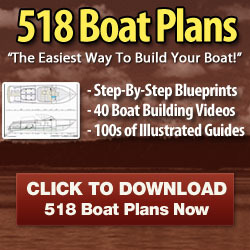 Plywood sped up building time, which generated a post-World War II dinghy boom. Flat panels and the simple curvature allowed by just four pieces of plywood were simple to construct. This particularly appealed to the do-it-yourself builder, the best example being the 11-ft (3.3-m) Mirror dinghy, designed by Jack Holt. Van de Stadt was an innovator in GRP production boats. 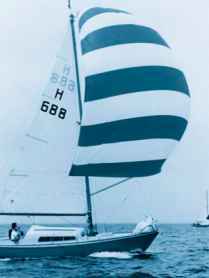 Small sloops like the Pionier were mass produced and therefore affordable; they dominated the cruiser/racer market in the 1970s. asymmetric spinnakers, enabled even higher top speeds. Keelboats mirrored this trend with lighter, better mannered hulls able to handle much greater power from their rigs. No dinghy has made a bigger impact than the Laser, a single-sail, one- person 14-ft (4.2-m) dinghy, conceived in 1969 by Canadian designer Bruce Kirby. Introduced into Olympic competition in 1996, it has since attracted more nations to participate in Olympic sailing events than ever before.